Would there be interest in an affordable Valvetronic Exhaust? GROUP BUY OPENED! Interested if the dB can be kept down to pass sound at Laguna. Interested if the dB can be kept to an extremely high level so I can give everyone a heart attack within a 3 block radius. But no drone with valves open. I'd also like a low-mile GT3 for $50k. Thank you. Closed it should pass fine. Hmmm, questions comes to mind. Who is the audience for this exhaust? A.) Track focused - these guys have to deal with track restrictions. If identifying an audience is difficult to nail down, perhaps identifying what characteristics are you targeting? After typing the above I began to realize that this is very subjective and not so easy to quantify. 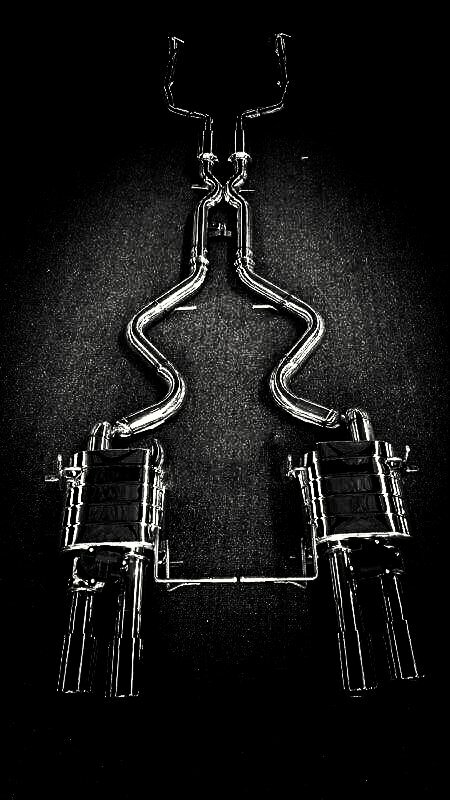 However, I think there could be something useful learned by going through the exercise... this exhaust could be useless to those who wish to use it on a track if the exhaust exceeds all track noise level restrictions. No point in running closed on the track. For the street, some want it closed for quiet and others may want closed to be daily drivable and present whereas loud is just a place to visit when you just want to have it all. Saw both of these in person. Those scared of the second version no reason to be. You can't even tell the second tip is straight piped. Love it. Show us the third prototype! I agree where did Bomiz go....we need this thing before winter. I wanted to Chime in and tell you guys what's happening. I don't want to release a group buy until I know the prototype I make is near-perfect. Also trying to make sure cost is affordable and the quality is top notch. Every single day i'm on top of everything trying to make sure the design, quality, parts, etc. are coming together and being built correctly. Also know that the first prototype is a different builder from the 2nd and 3rd. The First prototype had its downfalls. 3inch Piping is too large, and the closed sound/tone wasn't where I wanted it to be. The Second prototype was ok but still had it's hiccups. 2 different diameter piping, I don't like the valves so far back because it's pretty close to the heat shield under the car as well. My 3rd prototype i've been working on for quite a while. They misunderstood me on the design while making it so it took a little bit longer to finish. But it's done I should have it in about a week. It's based on the 1st prototype, but with 2.5inch piping, different muffler design, Long piping for the tips for major adjustability, and a few small things. I have not forgot about everyone, i'm still working everyday to get it right and make everyone happy with what they're going to purchase. Just because it's affordable doesn't mean i'm taking any old muffler and slapping valves on it to sell. As a Side note: I built a catless x pipe to go along with the system for testing, and i'll see how it turns out. If people are interested in buying a full system instead of an axleback, i'll most likely make it an option. Please let me know any questions you might have. I post pictures on my Instagram and Story all the time more often than here if you want to follow me for quicker updates. The New prototype won't be going on my car. Spencer Berke will be rocking it when it comes so he can pair it his new VF Supercharger. Looks awesome, I would be interested in the x pipe with it. How about an hfc xpipe specifically for the OEM and MPE exhaust. A turnkey offering obviously including a slew of resonators and HFC? I don't mind doing high flow cats. obviously they would be more expensive than catless. but I wouldn't be able to provide you Dyno testing, etc. but by all means I can show you a picture of HFC that would be used and you can tell me if you'd be interested in having them built with them. Curious, why not go for a larger muffler? This would help keep things quiet when the valves are closed and you're cruising. It will still be quiet with the valves closed. Closed i'm pretty sure it'll be under that. i think MPE and Dinan will fail too. akra evo passes 92dB. you had me all the way up until the Spencer part...not really a good comp for sounds being as how he has a blower. Majority of your audience are not running a blower, also i will leave my opinions of SB out of this thread.